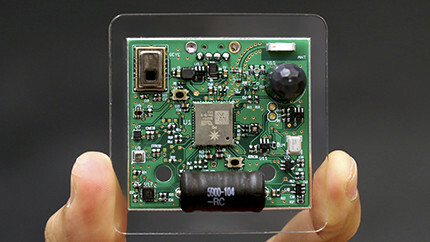 Sensors can be used to get specific data for example temperature & humidity or light intensity, or you can combine an array of sensors and leverage sensor fusion to combines data from the sensors to improve accuracy of measurement or detect more complex situation. The chart below shows how it works. 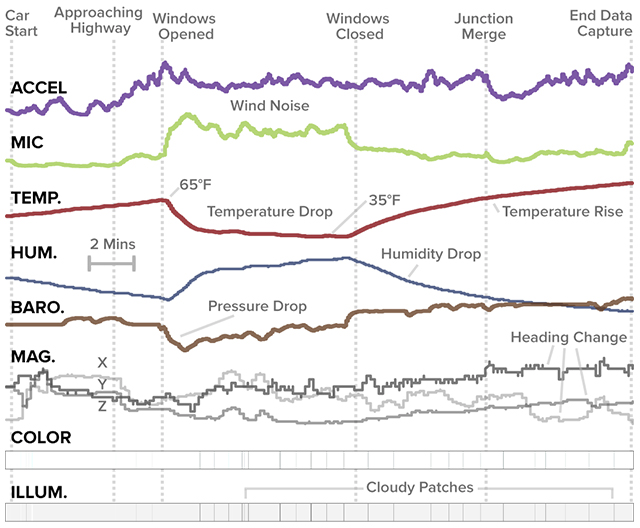 They first manually train the system to recognized events in the cloud based on sensor data, and after a while it basically run on auto-pilot detecting very specific events. The best way to understand how powerful the solution is to check an example such as events occurring inside a car. The system can also detect clouds based on color and illumination data. If you’d rather see what kind of event the system can detect in the home or office, watch the video below. Further details can be found on Gierad’s SuperSensor page, or/and you can read the relevant research paper. Thanks to TLS for the tip.